Michael Cohen reached a new plea deal with the special counsel Robert Mueller on Thursday. He pleaded guilty to making false statements to Congress about his involvement in the Trump Organisation’s push to build a Trump Tower in Moscow. 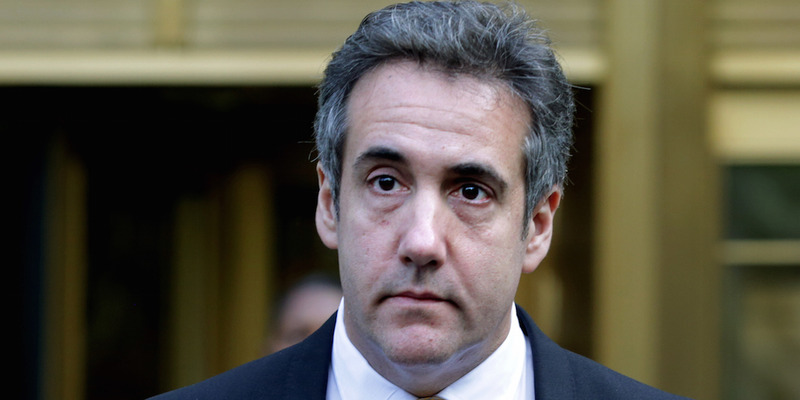 Cohen pleaded guilty earlier this year to tax evasion, bank fraud, and campaign-finance violations as part of a separate investigation into his and President Donald Trump’s business dealings. Cohen has been cooperating with Mueller since then and is expected to give dozens of hours of testimony that could be severely damaging to Trump. Michael Cohen, President Donald Trump’s former lawyer, pleaded guilty in federal court on Thursday morning to making false statements to Congress last year about his contacts with Russia-linked individuals. Cohen had accepted a new plea deal from the special counsel Robert Mueller that required him to plead guilty as well as continue to cooperate with ongoing federal investigations involving Trump. Cohen pleaded guilty earlier this year to tax evasion, bank fraud, and campaign-finance violations as part of a separate inquiry by the Manhattan US attorney’s office into his and Trump’s financial activities before the 2016 election. Since then, he has been cooperating with Mueller, who is overseeing the FBI’s Russia investigation. On Thursday, Cohen admitted to making false statements to the Senate Intelligence Committee about the Trump Organisation’s plans to build a Trump Tower in Moscow. Cohen talked about the deal in a statement to the committee in September 2017 and expanded on it when he appeared before the panel the next month. Many of the questions focused on Cohen’s email exchanges about the deal with the Russian-born businessman Felix Sater, as well as whether Russia had any involvement in the Trump Organisation’s push to build the tower during the election. That the “Moscow Project ended in January 2016 and was not discussed extensively with others in the Company,” most likely referring to the Trump Organisation. That he never agreed to travel to Russia in connection with the project and “never considered” asking someone denoted as “Individual 1,” believed to be Trump, to travel for the project. That he did not recall any Russian government response or contact about the deal. Cohen and Sater were in touch about the project and discussed ways to obtain the Russian government’s approval for it as late as June 2016, after Trump became the presumptive Republican presidential nominee. In addition to travelling to Russia for the project, Cohen also asked Trump and a “senior campaign official” about the possibility of Trump going to Russia for business. On or around May 4, 2016, Sater told Cohen that he “had a chat with Moscow” and asked whether Trump’s trip to Moscow should happen before or after the Republican National Convention, which took place from July 18 to 21. On May 5, Sater followed up and wrote to Cohen that someone denoted as “Russian Official 1” – believed to be Dmitry Peskov, an aide to Russian President Vladimir Putin – wanted to invite Cohen to the St. Petersburg Forum from June 16 to 19 and introduce him to either Putin or Russian Prime Minister Dmitry Medvedev. Cohen was in touch with Sater about the Trump Tower deal in October and November 2015, when Trump was a Republican presidential candidate. Sater first sent a letter of intent to Cohen outlining the terms of the “Trump World Tower Moscow” deal on October 13, 2015, The New York Times reported. Andrey Rozov, a Russian investor, had already signed it by the time Sater forwarded it to Cohen for Trump’s signature. Sater attached a note addressed to Cohen that The Times’ Maggie Haberman shared on Twitter last year. Weeks later, the two men exchanged a series of emails gearing up to celebrate the Trump Tower Moscow deal. In the emails, obtained by The Times, Sater bragged about his relationship with Putin and told Cohen he would “get all of Putins team to buy in” on the deal. 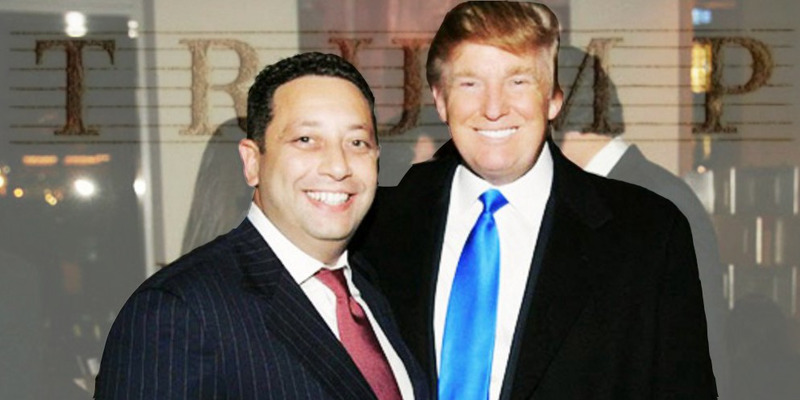 Trump OrganisationFelix Sater and Donald Trump. Cohen was advocating the project as late as January 2016, when he contacted Peskov about pushing the Trump Tower Moscow deal through. Prosecutors wrote in Thursday’s criminal information that on or about January 20, 2016, Cohen got a response from a personal assistant to Peskov who said she had been trying to reach him and requested that he contact her using a Moscow phone number. Shortly after, Cohen called the assistant and spoke to her for 20 minutes, the information says. After Cohen gave her details about the project and asked for help in pushing it forward, she said she would forward his request to others in Russia. The next day, prosecutors said, Sater wrote to Cohen and asked to speak with him on the phone. “It’s about [Putin] they called today,” Sater said. Earlier this year, Sater told MSNBC that the Trump Organisation was trying to secure financing for the building from VTB Bank, a sanctioned Russian bank, at the height of the campaign. As part of his plea deal with Mueller, Cohen is expected to give dozens of hours of testimony that could implicate Trump.